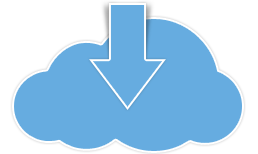 eRecordsUSA Cloud System (eReCS) is a cloud-based storage and file sharing system that is designed primarily to address needs of business users. eRecordsUSA Storage Service is feature rich, easy to use and secure. eReCS system allows users to synchronize files from multiple devices to the cloud, store them securely and selectively share files with vendors and business partners. Easily sync your important documents across devices using our Standard Sync capability which rapidly replicates files in Mirror folder. In addition, using our selective sync capability you can sync any number of folders. Uploaded files are encrypted and stored. Access to files is controlled by permissions to the folders and files. For data and content to realize its full potential it needs to be secure yet accessible. eRecordsUSA Cloud System achieves this balance perfectly for business users. Permissions to lock down content and selectively sharing files with business partners lets you derive most benefits from your valuable content. To learn more about eRecordsUsa’s Cloud Storage Services, call us at 1-855-722-6669. We would be pleased to speak with you and answer your questions.